We’d love your help. 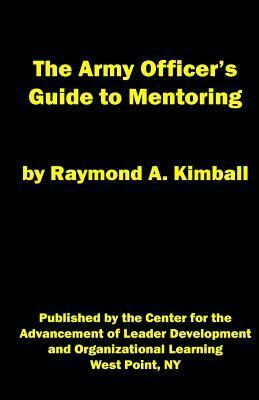 Let us know what’s wrong with this preview of The Army Officer's Guide to Mentoring by Raymond a Kimball. To ask other readers questions about The Army Officer's Guide to Mentoring, please sign up. Amazingly relevant and timely discussion of mentorship and its place withing leader development strategy. A must-read, mentorship primer that opened my eyes on topics like the difference between coaching and mentoring (there is one!). Ray breaks down his dissertation and made it tanker proof. The book also made me reflect on my career about times of mentorship and the why behind it.